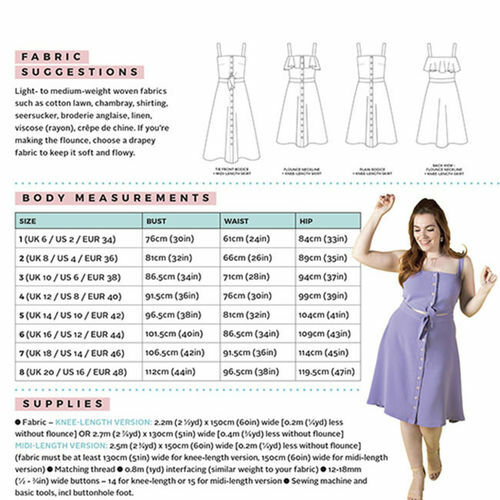 FABRIC SUGGESTIONS - Light- to medium-weight woven fabrics such as cotton lawn, chambray, shirting, seersucker, broderie anglaise, linen, viscose (rayon), crêpe de chine. 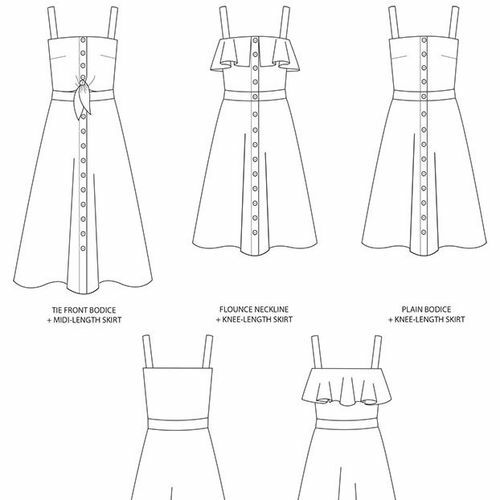 If you're making the flounce, choose a drapey fabric to keep it soft and flowy. 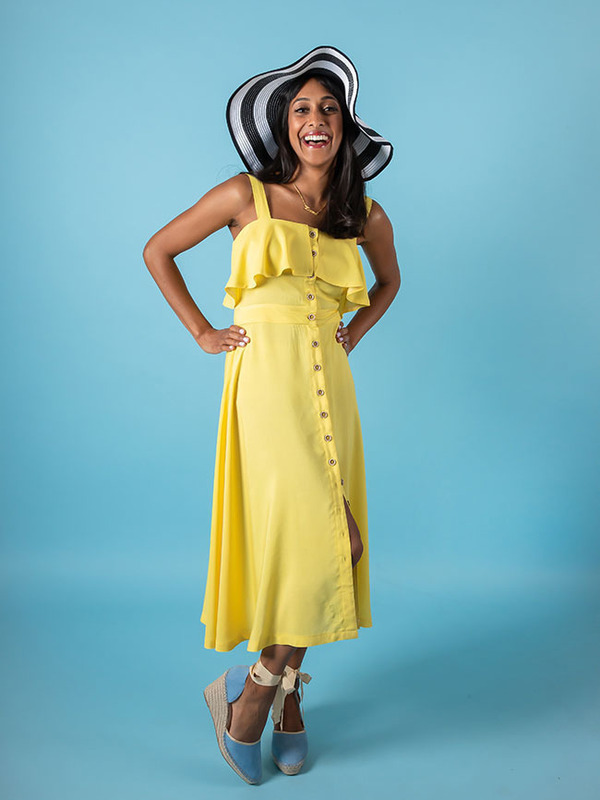 Keep cool this Summer in a breezy sundress you've made yourself. 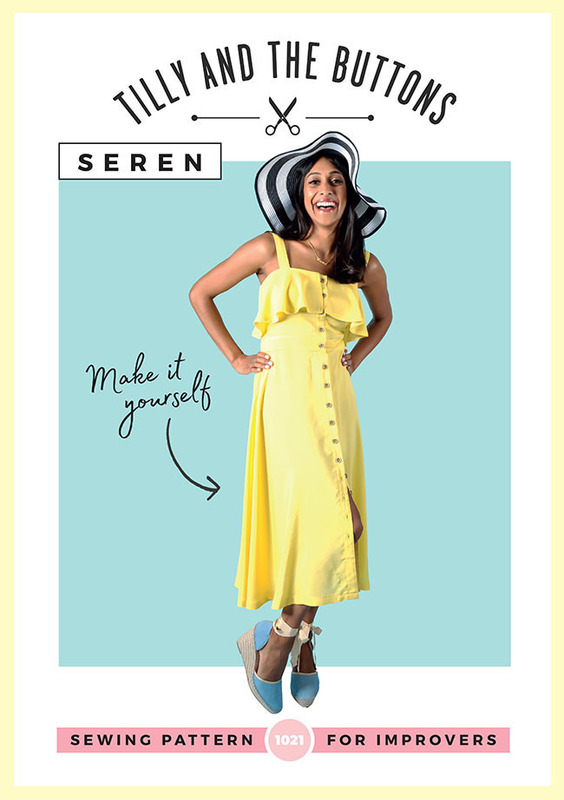 Seren has a flirty, seventies vibe, perfect for picnics in the park or dressing up for cocktails under the stars. 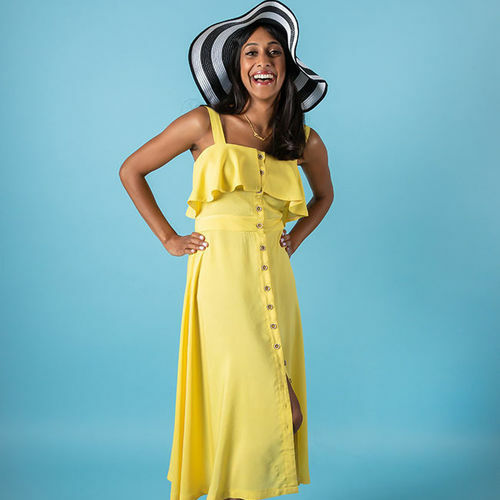 Just add espadrilles and a straw hat for effortless style. 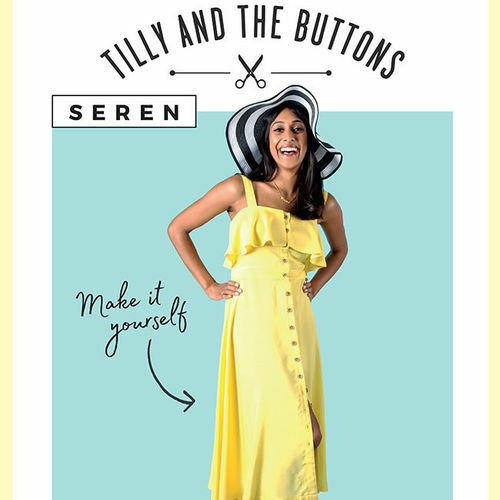 The Seren dress has a fitted bodice shaped with bust darts, with a separate waistband to cinch you in, flowing into a flared skirt. 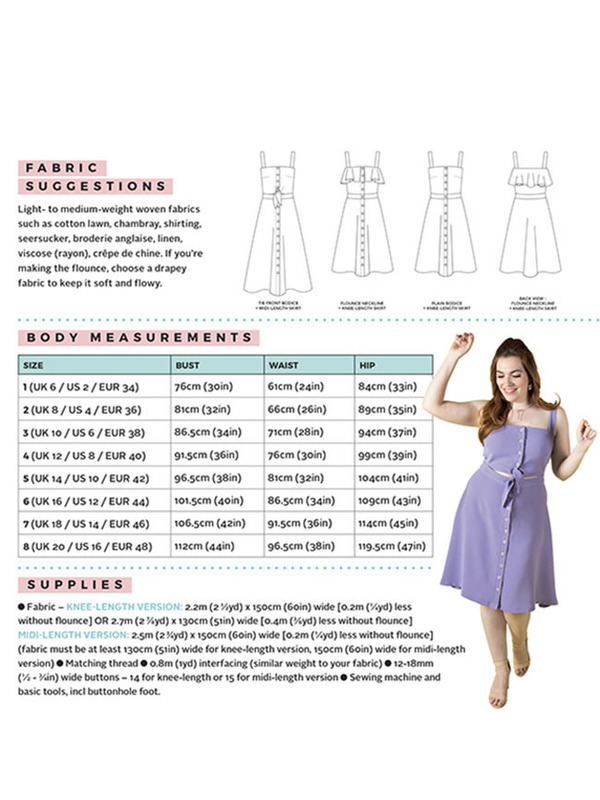 It has a button-down front, classic square neckline and shoulder straps wide enough to cover your bra. 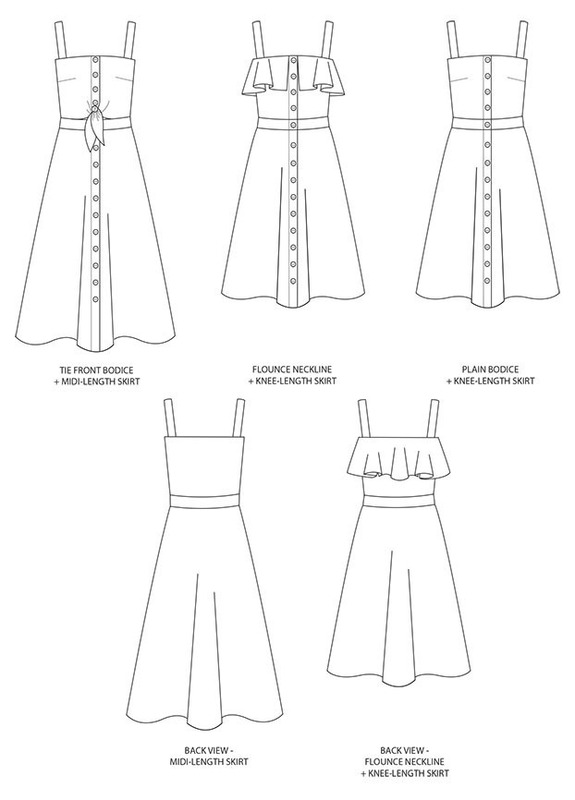 Choose from knee-length or midi-length hemline, classic or tie-front bodice, or add the on-trend neckline flounce. 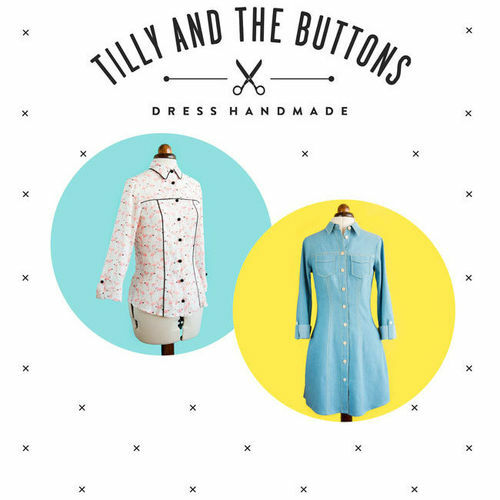 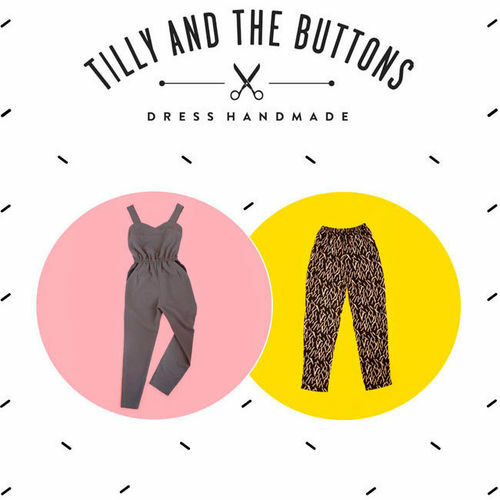 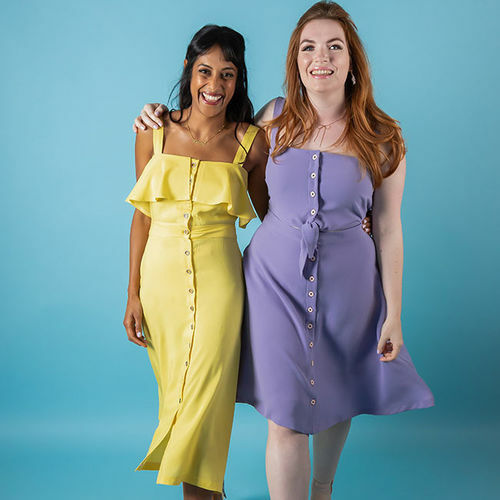 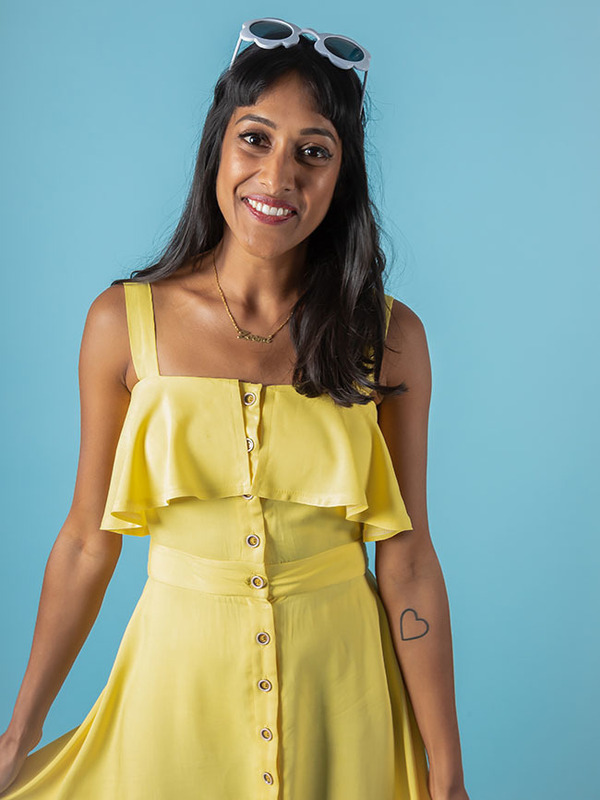 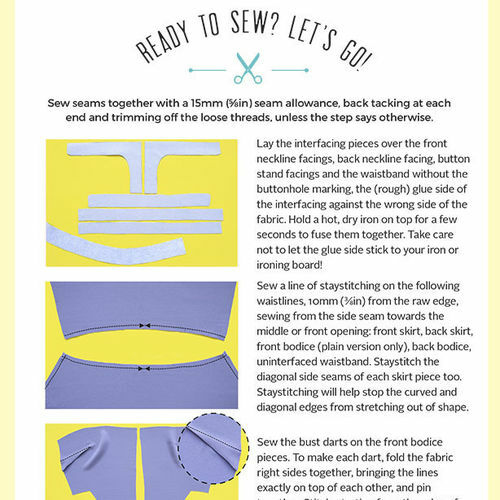 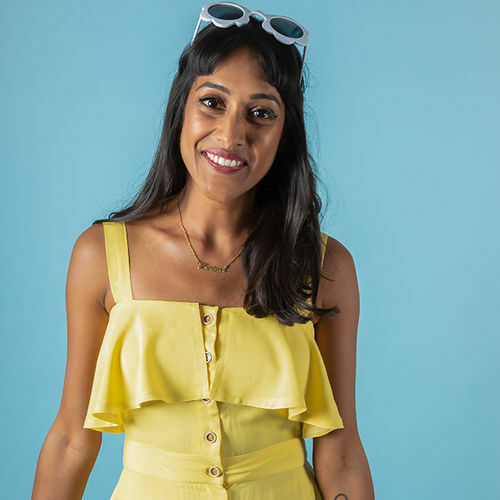 Like all Tilly and the Buttons sewing patterns, Seren includes jargon-busting instructions, helpful sewing tips, and colour photos showing you each step - making it easy for you to create gorgeous clothes you can be proud to say you made yourself.